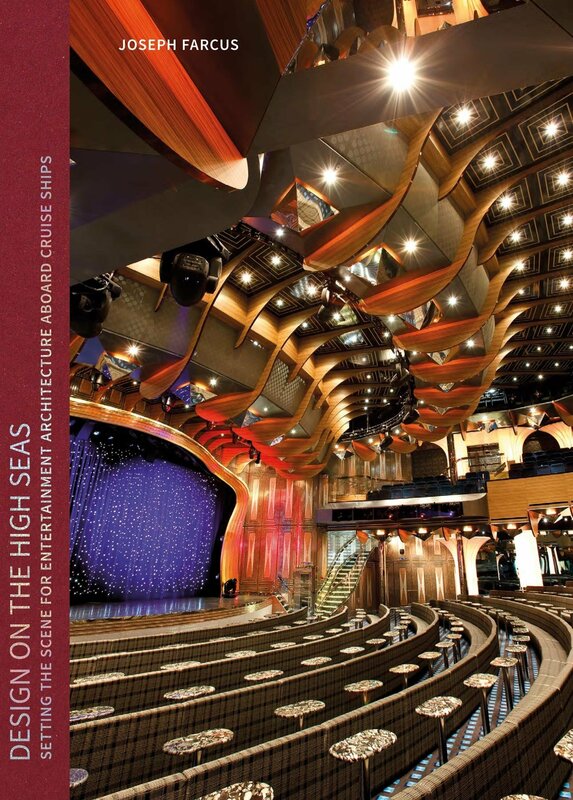 Design on the High Seas is an autobiographical account of the architectural design work of Joseph Farcus, which charts his career as an architect who eventually found his way into the cruise-ship industry, in the early days of what is now a truly global business in more ways than one. His works reflects a hard-earned disciplined practice that has helped to foster sophisticated designs for the billion-dollar cruise-ship industry. 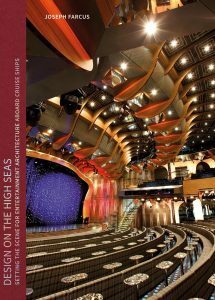 Many of the projects featured in the pages of this book reflect the beautiful ships of Carnival Cruise Lines, the world’s leading cruise-ship company, as well as those of the celebrated Costa Cruises. The volume combines spectacular full-color photography, original sketches, and a compelling, first-person narrative to showcase Farcus’s spectacular journey. 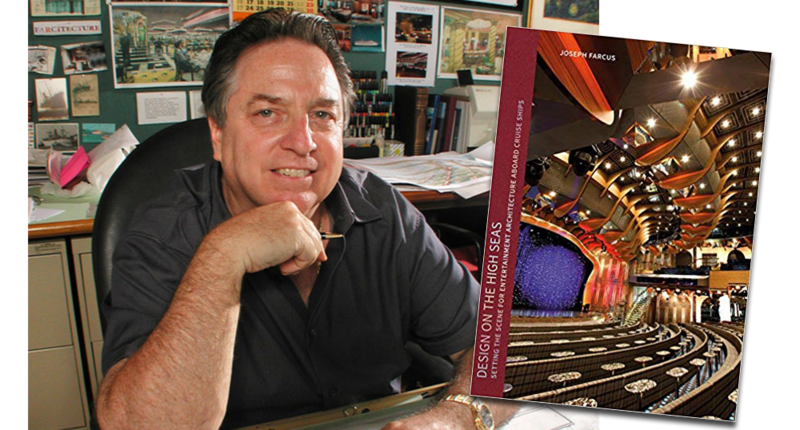 The author shares anecdotes from his childhood, his university days and his early career, giving an insight into what inspired the architect he was to become – and explaining how the astronomical success of the Carnival Cruise Lines is due in no small way to his product-defining designs. Indeed, millions of passengers have enjoyed memorable and meaningful experiences aboard his works. This is a fascinating and unique account of an architectural designer’s journey, and it will appeal to a broad readership: those who love to sail, those with a passion for boat design, as well as businesspeople of all backgrounds who wish to learn the story behind a leisure industry powerhouse. 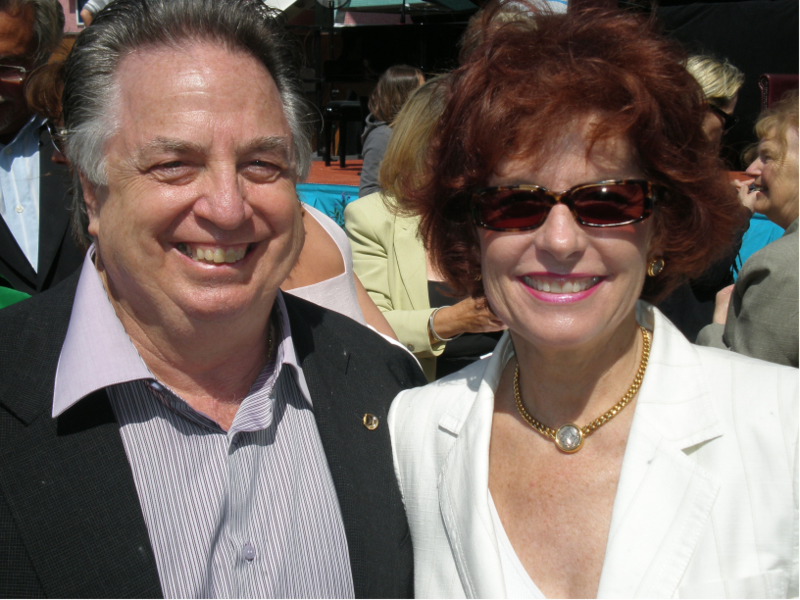 Mr. Farcus has been involved in the design of cruise ships for nearly forty years. His first assignment in that industry was to lead the redesign & refit of Carnival Cruise Lines second ship, the T.S.S. CARNIVALE in 1975. In 1977 Mr. Farcus opened his architectural office. One of his first projects was the refit of Carnival’s third ship, the T.S.S. FESTIVALE. Since then his practice has become a specialist in cruise ship design.From then until now Mr. Farcus has designed the entire Carnival Cruise Lines fleet up to CARNIVAL BREEZE, including the CARNIVAL DESTINY, which was delivered in October of 1996 and is the first passenger ship ever to exceed 100,000 tons (101,000). He is featured in The 1998 Guiness’ Book of World Records as the Interior Architect for this groundbreaking ship. Today Mr. Farcus is internationally recognized as a leader in cruise ship design, whose work has been influential in the industry at large. His designs are regularly featured in the world cruise and travel media. Mr. Farcus received his architectural degree from the University of Florida in 1967. He became licensed as a Registered Architect in 1969 and at that time was the youngest corporate member of the American Institute of Architects in the U.S.A. He received national certification in 1970. He was a member of the Board of Trustees for the Miami Art Museum & is on the Board of Governors of the American Jewish Committee. He is married to Jeanne Cohen Farcus & has three children and five grandchildren. Mr. & Mrs. Farcus reside in Miami Beach, Florida.